If you pay any attention to financial media, you should know that the Berkshire Hathaway annual meeting took place this past weekend. This is a shareholder meeting unlike any other. ‘Circus’ may be a better way to describe it. It is a 3 day event with a party, question and answer session, cookout, chess Grandmaster and even a 5K race. I’ve been a long time shareholder of Berkshire Hathaway and a Warren Buffett forever. Going to this meeting has always been on my bucket list, so Mrs. 1500 and I decided to go this year. To host the Saturday part of the meeting, Berkshire rents out the CenturyLink Center in Omaha which has a capacity of 17,000. When the main presentation started, this thing was filled to capacity. There were overfill rooms with TVs for those who couldn’t find a seat in the main arena. The atmosphere was electric. Really, I felt like I was 17, attending my first rock concert (AC/DC). Where else are you going to be able to sit in a room with at least 3 billionaires (Buffett, Charlie Munger and Bill Gates) and be able to ask 2 of them questions? Berkshire Hathaway has beaten the S&P 39 out of 48 years. This is absolutely incredible performance. Buffett and Munger are truly two of the greatest investors of our time. Buffett has a 10 year bet against hedge funds and halfway through, he is winning. Buffett’s philosophies and management styles couldn’t be more different from a hedge fund. He’s beating some of the smartest brains in the business. I believe that Buffett is a genuine and good person. One thing that came up at the meeting is that he owes much of his success to treating others well (more on that next week). Also, he is giving away 99% of his wealth. Overview: Today’s post will be an overview of Berkshire Hathaway, a description of the shareholder meeting and some high level observations of the event. Buffett Wisdom: The meat of the meeting is the question and answer session with Buffett and Munger. I took 20 pages of furious notes. On 5/14, I’ll discuss some of the more interesting questions and Buffett’s/Munger’s answers. The Big Lesson: There was a common theme that kept coming up in Buffett and Munger’s answers. I think it’s a very important lesson for any investor and I look forward to writing about it on 5/21. I’ll go out on a limb and say it’s probably the most important lesson to investors. Berkshire Hathaway is a holding company. A holding company doesn’t produce any goods or services itself, but owns other companies in part or whole. 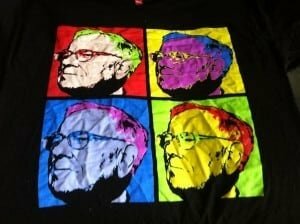 You may be surprised at some of the companies owned by Berkshire: Dairy Queen, Brooks, Borsheim’s, See’s Candy and Geico are all wholly owned under the Berkshire umbrella. Additionally, Berkshire owns shares of companies including American Express, Coke, IBM and Wells Fargo. What is the shareholder meeting like? In short, it’s pretty incredible. 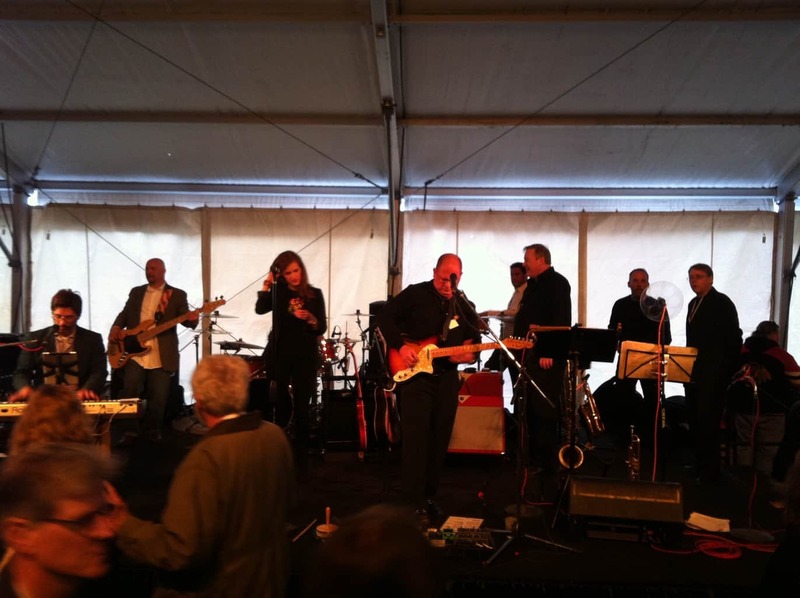 This isn’t your average shareholder meeting. Of course there is the corporate governance stuff. But you can also challenge a blindfolded chess Grandmaster who takes on 5 other people simultaneously. You can challenge a world champion ping pong player. Best of all, you can ask Buffett and Munger a question if your name is picked. Friday night kicked off with a cocktail reception at Borsheims, a jewelry store that Berkshire owns. There was live music along with free drinks and food. This was a zoo as people came out in force to attend. There were people dressed up in suits and there were hipster looking people with purple hair. The movie concluded with a Berkshire take on the YMCA song. BKHA/BKHB replaced the traditional letters “We love our managers at B – R – K – A!” At some point, Buffett came out on stage and started dancing, doing the letter thing with his arms. For 82, this guy is in shape! Next, there was a 5 hour question and answer session with a break for lunch. Shareholders and financial journalists alike get to ask questions. Buffett and Munger do not know the questions ahead of time. The answers were fascinating and I’ll discuss some of them next week. This year, Buffett invited a famous Berkshire Hathaway bear, Doug Kass, to ask questions. I thought it was pretty neat that someone with a dissenting view was invited as a challenger. After the meeting was over, there was a cookout at Nebraska Furniture Mart, another Berkshire company. 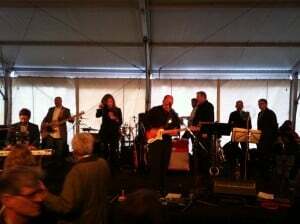 The weather was cold and rainy and this was an outdoor event, so we skipped it. On Sunday, there is a 5K race. I would have loved to participate, but my two torn knees advised otherwise. First and foremost, if you ever have a chance, ATTEND THIS MEETING. All you need is one B share (currently trading at $110) to be able to go. Also, do it soon. Buffett is 82 and Munger is 89. They won’t be around forever. Buffett was very sharp. He cracked jokes off the cuff frequently and was quick with his answers. I can see him going strong for a bit longer. Munger was funny too. At one point, Doug Kass asked a very long winded question challenging Berkshire to a bet that he could beat their returns. Charlie’s answer was terse and quick: “The answer is no.” The crowd cracked up. Some people asked really dumb questions. Someone asked when the A shares would be split. Anyone who knows Buffett knows that this isn’t going to happen; that is what the B shares are for. There were people of all ages and from all over the world. While the average age skewed high, it was neat to see young people there, some with their children. Stay tuned for next week when I’ll review some of the more interesting parts of the Q and A session. 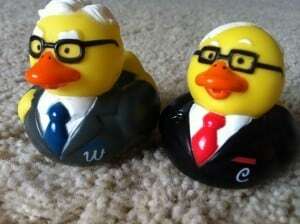 *At the end of the 3rd post in this series, I’ll give away a new set of Warren/Charlie ducks. These ducks are only available at the Berkshire meeting and are still in their original packaging. Tune into posts 2 and 3 for more details! I’m so excited about this series. I’ve always loved Buffett, not just for his amazing skills with money, but because of his frugal lifestyle and his refusal to let his kids soak off of him. Now that’s great parenting! YES! He is just awesome! I’m sure you’re aware that he’s lived in the same home most of his life. He is the real deal and an inspiration for everyone. Yes, I heard about that series. Can’t wait to show my kids! And, yes, I love that he still lives in the same house he has lived in for what, 50+ years? He is the true millionaire next door. Sounds like a great time 1500! I love the little play on Breaking Bad. I love that show so I know I would have been cracking up. Buffett is a pretty big deal! I’ve hardly seen Breaking Bad and thought the skit was hilarious! I could tell it had a couple jokes that were related to stuff in the show, so I can only imagine how much better it would have been for a true fan. Thanks for sharing your experience. I’m looking forward to part 2. I didn’t realize you only need one B share to be able to attend. Love it. One of my favorite coworkers was out there this weekend, too! And Mr PoP wants to make it a must do next year. =). Mrs PoP @ Planting Our Pennies recently posted…I’m Riding A Bike To Work! You both have to go. For me, it was more fun than a day at Disney. I hung on his every word and found myself getting mad at the people who wasted microphone time with dumb questions. I’m going to win those duckies for Baby Money!!! WOOOO!! Awesome!! Looking forward to the next two posts! I would love to trek out there at some point. And you are right, the time is now! This sounds awesome! It’s official, going to one of these annual meetings is on my bucket list! Sounds like a great experience! This is something I would love to attend. I used to own some Berkshire B shares but sold them when I wanted to focus on dividend growth investing. I do believe Buffett knows great companies to invest in though and I own some of the same companies such as Coke and Wells Fargo. I’ve often wondered why BH doesn’t actually pay a dividend. This didn’t come up at the meeting, but Google tells me that there are a lot of people that think it should. Pretty simple why he doesn’t! He knows he can do more with that money than anyone else! Can’t say I blame him considering his track record! Grigory of Siberia recently posted…In which the author becomes a book hipster! Yep, I just think it’s a bit funny that many of the companies Warren owns pay a dividend, but he refuses to himself. Yes, lots of celebrities! That Detroit Lions guy with the crazy name who played for Nebraska was there among others. 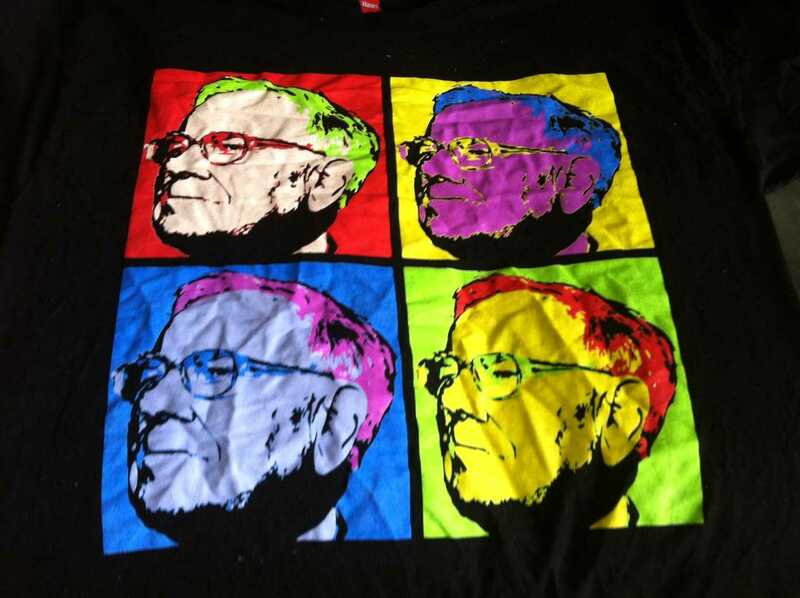 I remember learning about Warren Buffett freshman year of college. One of my friends told me about him, and how he was so awesome. He has been an idol ever since. I just wish he wasn’t so old. I fear that my children won’t be able to ever see him. Hopefully, he lives another 20 years and is still at the helm ok BH the whole time! I can dream, can’t I? Awesome!! This is definitely on my bucket list too. I only wish I would have gotten into investing at a bit earlier of an age so that I had more of an opportunity to get to do something like this before Buffett and Munger are too old, or more likely gone. Looking forward to the rest of the series. I’m definitely a Buffettophile and agree with your conclusion that he is a genuine and good person. I don’t think we’ll ever see another Warren Buffett, or really anything even close. Not just the investment prowess, but the overall intelligence. Great stuff! Sadly, I think you’re right about never seeing another Buffett. For me, there is Buffett and then there is everyone else. His style and belief system is pretty much the exact opposite of all of these Wall Street boneheads. I have been wanting to attend this ever since reading the great Buffett biography, Snowball, several years ago. I eagerly await hearing the rest of the details about the meeting and festivities! That book has been sitting on my shelf waiting for me to finish it. Pretty good so far. Yes, do it, you won’t regret it! I’m going to go every year while Warren and Charlie are at the helm and then maybe for a bit after. I think Warren Buffett is maybe the biggest badass that ever lived. I LOVE your comment and absolutely agree. He is a total badass and one of the people on this planet who inspires me most. Really, do try. A week before, I had decided not to go. The wife convinced me otherwise and I’m so happy she did. Really, it was just a super experience. Like I said in a previous comment, I’ll go every year while WB and CM are at the helm. Hopefully, the successor is worthy. More on that next week. What an honor. And I bet is was epic seeing the man. We quite understand the three-part posts. We are looking forward to reading more. Buffett is quite the visionary. As an interesting aside, he is very genuine in his personal reflection of wealth. Owns a small (relatively) house that focuses on quality, not quantity. 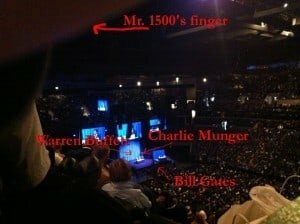 Everyone in the stadium was well aware that they were in the presence of Warren Buffett and the other super billionaires, but if they only knew that Mr. 1500 people’s mind would have exploded. I love hearing pretty much anything about Warren Buffett. In interviews he always just makes sense. That’s pretty much the only way to put it. He seems like he’d be the best grandpa ever too. He is a god. As far as investing, in my view, there is him and then there is everyone else. The only other person I look up to as much is Elon Musk, but that is for completely different reasons. I would love to go to this event. I do own some stock in BH, so thanks for sharing that you only need one share. I’m not sure my husband would be all that interested, but this would be a dream for me. Maybe next year? You must, really! I wish I would have gone 20 years ago. Who knows if any of it would have stuck, but just maybe. I cannot express how jealous I am! I own some B shares but haven’t been able to make the time or part with the cash to go to the meeting. I’m looking forward to the series! I just love how Buffett does it. He makes it seem so simple! I’m looking forward to the rest of the series and I’m really jealous that you got to go. I’ll be looking to pick up some shares just so I can go either next year or the year after. How many annual meetings can you say you’d do that for? Even if there wasn’t all of the other events, it’d be worth it just to hear the 2 of them speak for 5-6 hours. Absolutely. 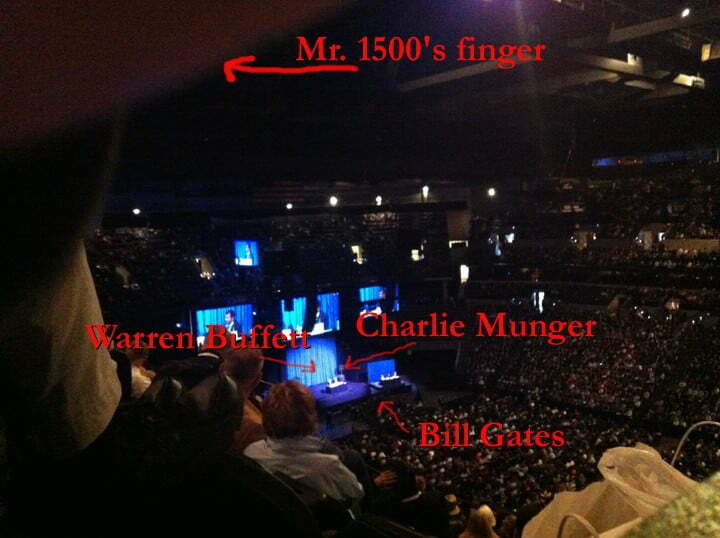 I’d pay big money to see Buffett and Munger, but its free. I can’t say enough good things about what a great experience it is. 2. Actually, you don’t even need to be a shareholder to attend. In the 90s, before the final B-split, a B-share cost thousands of dollars, and some shareholders would resell their convention passes on ebay for ridiculous amount of money. When Buffett found out about it, he started flooding the market with cheap passes, so even the poorest among us (college students, people on a budget, etc) could attend the event. Thanks for pointing out the typo. Just fixed. I proofread these things 100s of times and always manage to miss something. Thanks also for the eBay tip. I had no idea.